Rae studied photography and graphic design at Emily Carr College of Art and Design in Vancouver, B.C. After 3 years, she dropped out to pursue her love of skydiving. Her moves took her to London England, Calgary, Edmonton and then Toronto where she worked as an AdRep for NOW Magazine. In 2004, before the trend, Rae bought a house and moved to Hamilton, starting her own Website Design Business, StylinDESIGN. Working closely with small business throughout the region, she returned to her photography roots and incorporated her unique eye into each website. As the business grew, she decided to move full time into photography, selling StylinDESIGN (to the very capable Ms. Eva Eaton) and creating lumaRae Photography. 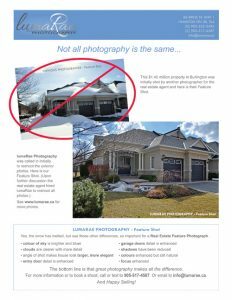 lumaRae Photography specializes in in-studio and on-site photography for small business and independent business people. Rae recently redeveloped an industrial building in Hamilton’s North End to house her expanded photography studio.